Events page has now been updated with our winter club rides. Whatever your thoughts are on wheel size etc this is still a good watch. Limited numbers but a superb days riding in the dust at Wooler! Times are now up on the forum. British Winter riding is all about having fun with your mates! After some very close racing this weekend, congratulations to Joe Mallen who is our new club champion for 2016. All the times are now up on the forum. Again the Scots are first out the blocks with round 1 of the SDA series and again great to see a few CHR members competing. SES Round 1 was at Dunkeld and we had 8 members competing I what turned out to be a beast of an opening round!! 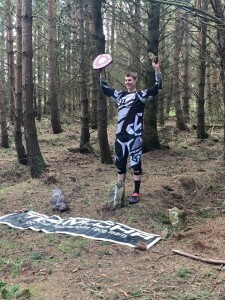 Scottish Enduro Series 2016: Round 1 – Dunkeld from Scottish Enduro Series on Vimeo. Watch out for dates going up for some Summer club rides up the Tweed Valley this Summer, we are hoping to sort 2 or 3 days out on spare weekends between races. Results from our Winter series are now up in the forum, Summer series will run from May-Sept.